Let South Bend Divorce Mediator Carol Romine help you avoid court through the process of mediation. A mediator is defined as a neutral person who is trained in mediation skills and family law. The mediator helps you reach agreements without going to court. If the parties are represented by an attorney, the attorneys select the mediator. If the parties do not have attorneys, they select their own mediator. 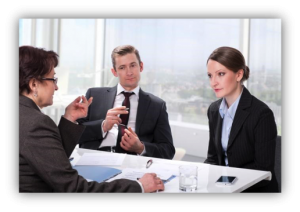 How is a mediator different from an attorney? A family law mediator is a neutral third party who is knowledgeable about family law and family dynamics and who helps couples collaborate towards the common goal of obtaining a divorce without the necessity of having attorneys or going to court. Also, with only a few exceptions, the mediator is capable of preparing all the documents necessary to take a new divorce from start to finish. The exceptions include legal documents such as Quitclaim Deeds, which the parties can complete with or without an attorney. While Carol is an attorney AND a registered mediator, she can never be both at the same time. An attorney has subpoena powers and must vigorously represent only one of the parties in a divorce. A mediator, on the other hand, has no subpoena powers and does not represent EITHER party in the divorce. Rather, the mediator has a responsibility to help couples reach a fair, equitable and legal agreement based on the documents the parties provide voluntarily. When attorneys are unable to obtain a satisfactory divorce agreement through negotiation, they frequently use the services of a mediator to help them break the impasse and to help them stay out of court. On some occasions, the judge in the case may order the parties to participate in mediation before they can appear for a hearing. Other times, the two attorneys may agree that mediation is in their client’s best interests. They may even agree on the name of a mediator. If the attorneys cannot agree on a mediator, the court will offer a panel of 3 names upon request and each party will strike one name. Each attorney will provide the mediator with a confidential statement of the case, in advance, and the mediator will study each statement along with relevant case law or statutes in order to understand the issues before him or her. The parties and their attorneys may or may not be in the same room with the mediator during the mediation process. In either case, the mediator gives each party the opportunity to make an argument as to why they should have the outcome they desire. The mediator is NOT a decision-maker and can only help the parties reach their own agreements. Is divorce by mediation right for everyone? No! While most couples could avoid spending thousands of dollars on an unnecessarily adversarial process, there are some individuals who simply must have the representation of a family law attorney. Families who will most likely require legal representation are those who have experienced physical abuse between the parties, those in which either party has been diagnosed with a personality disorder, or those in which either party believes the other is hiding assets. Have more questions? Ready to get started? Carol Romine offers free consultations about the divorce mediation process and will schedule flexible appointments in order to accommodate your work schedule. Click here to schedule your FREE consultation today or give us a call at (317) 576-8404. I’m the Custodial Parent – Can my Ex-Spouse Prevent Me from Moving?